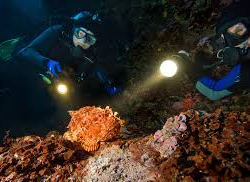 Even if you have dived a particular site many, many times during the day, your old-familiar site comes alive, and new again, under the cover of darkness. The diurnal creatures hide away to rest whilst the nocturnal ones come out to play. Sleeping reef sharks become patrolling scavengers and crustaceans poke their heads, and claws, out of every crack and crevice! If you ever wanted to head out into the Swan River and catch yourself a feast of prawns then night time is the only time! The course consists of knowledge development, equipment considerations and planning. All culminating in 3 night dives! 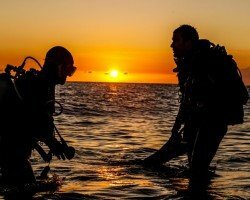 First Two Ocean dives normally done from shore and dependent on ocean conditions. 3rd dive is dependent on the options above. Minimum numbers are required for the course to run. Diving Frontiers reserves the right to cancel or defer course if minimum numbers are not met. 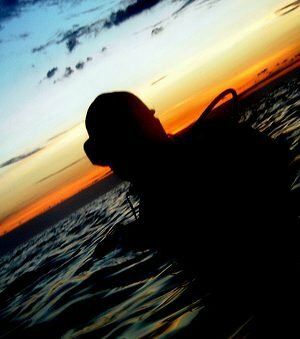 Ocean and Boat Dives are dependent on weather conditions. Diving Frontiers reserves the right to cancel/defer boat dives or charters, change vessel or dive site if conditions are not deemed safe. Course can also be done with the HMAS Swan dive trip.